DAMASCUS, Syria — The German newspaper Der Spiegel published a shocking piece of investigative journalism this week, providing a behind-the-scenes exposé of the run-up to Israel’s bombing of an alleged nuclear power plant in the Syrian desert in 2007. The article relates how the Mossad, in a daring tale of high-wire international espionage, hacked into a Syrian government official’s computer while he was staying at a British hotel in late 2006. The Israeli intelligence agency then installed a “Trojan horse” on the laptop in order to obtain classified information about a Syrian nuclear reactor, located outside Deir Ezzore in Syria’s remote northeastern quadrant. On the basis of this discovery, Israel would launch “Operation Orchard” several months later, destroying what they thought to be the top-secret nuclear site. However, on the heels of the Der Spiegel article, new evidence has emerged from Syria suggesting that the computer hacked by the Mossad agents was a decoy deliberately intended to distract Israel’s attention away from a much more deadly Syrian secret weapon under development. High-level Syrian sources are now confirming that the laptop decoy was intended to veil a much more sophisticated security project, one with the potential to change the strategic balance of power in the region. 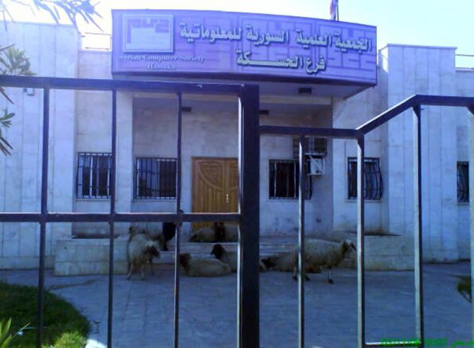 This project, known as the Syrian Computer Society (SCS), is headquartered in another remote town, Hassake, not far from the site of the fake nuclear power plant. 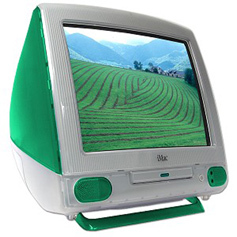 It boasts three desktop computers – two IBM compatibles with 486 processors and an iMac G3 – and a 14.4 kbit/s dial-up modem. The project’s director, Dr. Samir Mahdoum, suggested that Syria could use these advanced machines to spy on Israel, thereby denying their arch-enemy the element of surprise. Dr. Fawwaz al-Kahrabji, the SCS’s director for research and development, says that this technological breakthrough has given Syria the edge in its rivalry with Israel. It’s always nice to create a story that makes us feel better. That’s why Hollywood is such a successful business. a brilliant piece! Jacob is the next Seymour Hersh. That’s right Akbar. When I realized that fiction is in again, I picked up the phone and invited our own Jacob Tafnis back. The things are clear above ,Asma Khanom likes Apple MAC and Bashar prefers IBM PC. The top university in the Arab and middle east is Saudi. not bad for a country like Saudi Arabia which was a beduin primitive society few years ago…but shame on the Arabs Thanks to the Arab regimes. تسلمت عائلة طالب لبناني كان يدرس في سورية جثمانه ليدفن في لبنان، بعدما توفي في أحد السجون السورية التي قضى فيها نحو سنتين، حسب ما نشرته صحيفة المستقبل اللبنانية. وقد أبلغت عائلة عامر جاد ساطي (25 سنة) بوفاته قبل ثلاثة أيام عبر جهاز أمني لبناني. وجرى تشييعه في مسقط رأسه في بلدة كامد اللوز اللبنانية، في حين تخلل موكب التشييع إطلاق نار غزير تعبيراًعن الغضب. وكان ساطي، الذي كان يتابع تحصيله العلمي في سوريا، قد اعتقل مع عدد من زملائه منذ نحو سنتين، لأسباب قيل إنها سياسية، وفشلت اتصالات بذلها أهل الفقيد مع مرجعيات لبنانية موالية لسوريا خلال فترة اعتقاله من أجل الإفراج عنه الى أن تبلغوا منذ أيام ثلاثة نبأ وفاته من جهاز أمني لبناني. وأوردت المستندات الطبية التي تسلمتها عائلة ساطي من السلطات السورية أن التهابات حادة في الرئتين نتج عنها مضاعفات أدت الى وفاة ساطي. وكان أهالي البلدة والعائلة تسلموا جُثته من مستشفى البقاع في تعنايل بعدما نُقل إليها بواسطة سيارة إسعاف من دمشق. وتعليقاً على نبأ وفاة السجين ساطي، تساءل رئيس جمعية المعتقلين اللبنانيين في سوريا، في حديث الى “المركزية” عما إذا كانت السلطات السورية لا تسلم المساجين اللبنانيين إلا جثثاً. ودعا السلطات السورية الى الإفراج أيضاً عن المساجين اللبنانيين المعتقلين في السجون السورية ما بين الأعوام 1980 و2000 وإلى إعلام ذويهم بمكان وجودهم ففي حال كانوا لا يزالون على قيد الحياة فليسمح لذويهم بزيارتهم أما إذا كانوا متوفين فتسلم جثامينهم لدفنهم بطريقة لائقة. how do you explain it?,the ship was loaded in egypt, it went to Beirut, and was taken , by act of pyracy, after it left Beirut,and close to Cyprus, and there was no interview of the crew members, How do you explain your statement? Also I do not see difference between Somali pyracy and Israel Pyracy. Alright, I’ll admit the sheep at the Secret Installation did have me wondering there for a second, about Syria’s “new strategic capabilities”. But to pretend Syria has “no need” for a nuclear weapon, I believe, is counterproductive. It makes non-Syrians even more suspicious. Why not adopt a different and probably far more effective policy – one of ambiguity? Why not repeat Peres’s famous mantra “(Syria) won’t be first to introduce nuclear weapons to the region…”? I heard this morning on the radio that Syria’s FM also denies there were any weapons aboard the vessel that was taken over yesterday by Israeli commandos. Again, why deny it? Who benefits from, or even believes this denial? I’m no PR-expert, nor do I pretend to be one, but I think Syria’s PR is making mistakes time and again, by hoping to “convince” the International Community that it is NOT participating in a region-wide conflict, which spans across Israel, Palestine, Lebanon, and Iraq. For those who have “just tuned in”, we in the region have been in an ongoing Cold War (and at times very Warm War) for the past 61 years. And in war, nations fight in a multitude of ways. Including developing various programs, conventional and not. Including passing weaponry from one arena to another, from one “force” to another. The sensationalism seems to sell well, especially those who are easily impressed by the likes of Tom Clancy. But in our very real day-to-day Middle East, one should not be surprised by any of these things. I think Syrian denial is a mistake. I agree with you that the Syrians are rather crude when it comes to PR. The same can be said for most, if not all, of the other ARab regimes too. This is one area where they might take lessons from Israel – or Iran. Anyway, this incident – if confirmed – shows us once again how the supposed spectacular prowess of the Mossad is a myth. The notion that they’re several steps ahead of everyone else and know what every Arab leader had for breakfast this morning is just nonsense. As many genuine experts say, they are at best a mediocre organsation whose only real skill is in the field of PR. That’s all they’ve got, isn’t it? Bomb, bomb, bomb. And do they seriously think the Syrians – who have outwitted them here and in many other situtaions – are stupid enough to have all their eggs in one basket? IS the Israeli MOD so wrapped up in itself that it can’t imagine that the Syrians will have backed up all their files elswhere, and that even Hassake may well be a decoy, like the one they fell for last time? Without getting into myth-maker or myth-breaker arguments, I do agree with you that Syria’s PR is definitely lacking and, at times, may achieve the opposite effect it hopes for. I’ve learned over the years not to take too seriously news-bits quoting what this MOD said about that, or what political leaders say at different times in different ways. Everything is part of the war on public opinion. At times, an analyst or a paper wants to draw attention to itself, and comes out with some bombastic “revelation”. At other times, a politician is up for re-election, or is under investigation, or just wants to be invited to speak in some conference, and needs to refine his/her own image. Of course, there are also real and sincere messages that are being sent across. But even those are often misinterpreted. I’ve never been impressed by those who claim to “know the truth”, be it newspaper journalists, think-tank analysts, political leaders, or other soothsayers. There is no such thing as “the truth” – reality is constantly changing. One minute 70% of Israelis are against returning the Sinai to Egypt (even in return for Peace), and the next minute 70% are for it, and the Sinai is returned. One minute Bibi depicts Arafat as father-of-all-terrorists, the next minute he’s kissing him on the cheek, referring to him as “a friend”. Great article, what do you think about the situation with the ship that was detained by Isreal? I agree with you about the PR thing. Kind of mystifying. It’s not like it’s some big secret that Iran supplies Hezbollah with its weapons. How do people think that theses weapons arrive? I watched a debate couple days ago between two high rank american politicians about the same subject (Is Israel going to attack Iran) and their answer was YES it will do that after xmas without the US permit and it will be ugly and bad for everybody even Israel and they were saying that Obama administration actually want them to do that so they can change the typical american stands toward Israel so they can push their agenda faster, with the fact that Israel did something wasn’t supposed to do and it didn’t even accomplish the mission successfully. and the funny thing was when they both agree that Israel politicaly and socially is the same as Syria. what do you mean by your last sentence . Der spiegle seems to have all the scoop on the secrets of the ME. from who killed Harriri (They revealed it was HA just before the general ellection in Lebanon) to this now. of the secret HooMoos recipe. In an ‘Ma’agar Mokhot’ opinion poll from 1 Nov 2009.
the Arabs will not have further claims. or is it true and reasonable ?? the majority of the congress and the american people don’t see any difference for better or worth between Israel politically and socially and the Syrians. And if they will go ahead and ‘do’ Iran then it is a win win situation for these majority by proving that Israel was an ally but it betray our trust and for that we should stand against this kind of actions and force them to do what we think is right. The onion is one of my favorite satirical magazines. Satire is part and parcel of modern american literature and it has nothing sacred. Defense contractors, major government research labs, as well as private RD firms including pharmaceuticals, have very tough cyber security measures. These measures include both software firewalls, constant spyware checking, and regular company-wide network sweeps of personal computers, web servers, and data servers, to identify week points along with email monitoring. Even at major research universities, every once in a while, we get one computer booted of internet because a student or an employee had disabled one of the mandatory security features and only the supervisor can request IP revival after ensuring that measures are implemented. I run a mission critical website, one time, I wanted to do a weblog analysis to analyze the number of visitors my website has been receiving and report that to my sponsor. I downloaded a well known public domain software, compiled the code, configured it, and ran it. Within seconds, my server was booted off. From another computer I checked the list of banned machines and found that my server was booted because it was issuing thousands of dns queries (which is what a good weblog analyzer does) through a default proxy. It took hours for me to finally tie the analyzer to university proxy server so that it is not mistaken for malicious activities. Physical measures, which are more relevant to the London incident (if it is true) include absolute control of all data transfer media including USB drives, CDs and DVDs along with laptops that can only be turned on if you have a smart-card and laptops dedicated for employees travel and that have no company classified material on them, can not be connected to any peripheral devices, and can only connect to secured networks. These would be the only laptops even directors can check out for travel. No one is allowed to bring any external devices, and all backups are performed by professionals and held under lock. 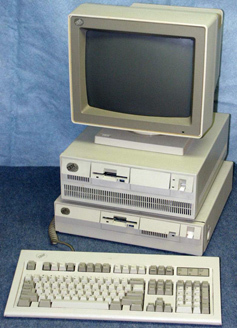 I have seen some of these laptops. Some outfits do not allow webcams. Part of the problem is the prevalence of pirated software, which can not be legally updated to plug security holes. This is an issue that most developing countries must eventually address. One option is to rely on public domain software and OS, but that also requires significant investment in preparing IT specialists and is no guarantee against attacks. Afterall, updating takes a lot of bandwidth and commitment. In the end, pirated software may be cheap, but it comes at a very hefty price. At one point in time I read an article that showed how much spyware, including Trojan horses are embedded in some of these registration unlocking codes bundled with illegal software. I am not a specialist, but with significant investment of tax payers money in our computing resources, I have to be aware of risks and I have to keep guard so that some of our students do not get too excited about installing illegal software on our computers. What they do with their own personal computers is of no interest to me, but what they do to team resources matters a lot. We already have a historic data point that shows Israel was not even close to peace before she controlled the West Bank, Gaza and the Golan. Now with terrorist organizations like Hamas and Hezbollah armed to the teeth, there is absolutely no reason to believe the situation would change if Israel would unilaterally go back. For those who claim Arab PR is bad and Israeli PR is good, I beg to differ. Outside of Fox News, the great majority of news networks are anti-Israel, as well as the Leftists in Europe and the US, including the United Nations. Hands down, the Arabist point-of-view has succeeded in influencing all these sectors within the political debate. Of course this works well on the surface. Delving in just a litter deeper (which most people don’t do) reveals yet another story. ان تعترض قوات كوماندوز اسرائيلية سفينة متجهة الى سورية، وبغض النظر عن حمولتها، فهذا يشكل عملاً من اعمال القرصنة، وانتهاكاً للقانون الدولي، وبما يصب في نهاية المطاف في مصلحة تشريع الارهاب، وتوسيع دائرته، وزعزعة استقرار المنطقة والعالم بأسره ايضاً. اسرائيل تعطي لنفسها الحق في بناء صناعة عسكرية متطورة، تقليدية ونووية، وتصدير انتاجها التدميري الى مختلف دول العالم الراغبة في الشراء، بما في ذلك الهند والصين، حتى ان افيغدور ليبرمان وزير الخارجية الاسرائيلي اصطحب معه عشرة ممثلين لهذه الصناعة اثناء جولته الافريقية الاخيرة، التي شملت دول منابع النيل، لتسليح هذه الدول وتحريضها على تحويل مياه النيل باقامة سدود قد تقلص من حصة مصر مستقبلاً، ولكنها تعمل في الوقت نفسه على مصادرة حق الدفاع عن النفس بالنسبة للآخرين، والعرب على وجه الخصوص. اعمال القرصنة الاسرائيلية، البحرية والجوية والارضية، كثيرة يتعذر سردها في هذا المكان، وكلها تتم في وضح النهار ودون اي اعتراض دولي، خاصة من الدول التي تدعي الانتماء الى العالم الديمقراطي الحر، ولكننا نرى مؤتمرات دولية، وتنسيقات عسكرية، وتجريماً غير مسبوق لجوعى صوماليين يقدمون على خطف سفن، بطريقة بدائية، من اجل الحصول على فديات مالية، بعد ان دمر الغرب المتحضر دولتهم، وحوّلها الى دولة فاشلة. هذه هي المرة الثانية في اقل من ستة اشهر تقدم فيها اسرائيل على التحرش بسورية، وتتعمد استفزازها بطريقة مهينة. ففي المرة الاولى ارسلت طائراتها لتدمير موقع عسكري في منطقة الكبر في الشمال الشرقي (قرب دير الزور) تحت ذريعة انه معمل نووي قيد الانشاء بمساعدة كورية شمالية، وها هي تعترض سفينة متجهة الى أحد الموانئ السورية. لم نسمع اي رد فعل سوري على اعمال القرصنة هذه، وربما لن نسمع، فالسوريون مقتّرون في الحديث عن مثل هذه الاعتداءات الاسرائيلية، على عكس القضايا الأخرى، ولكن الصمت لا يفيدهم في هذه الحالة، بل ربما يعطي نتائج عكسية تماماً، فقد بدأ السوريون، والعرب جميعاً من خلفهم، يشعرون بحرج كبير من جراء تواصل مثل هذه الاهانات وغياب اي رد عليها بطريقة او اخرى. اسرائيل تستعد للحرب لاستعادة ما تبقى من كرامتها المهدورة بعد هزيمة قواتها اثناء حرب لبنان صيف عام 2006، وللخروج من ازماتها الحالية، وعزلتها الدولية، وتصاعد الكراهية لها عالمياً، بعد مجازرها في قطاع غزة، وادانتها بارتكاب جرائم حرب من قبل تقرير غولدستون الاممي، ولهذا لن يكون مستبعداً ان تحاول خلط الاوراق من خلال عدوان مزدوج على لبنان وقطاع غزة، لجر سورية وايران الى حرب اكثر اتساعاً. ولهذا لا تريد وصول اي اسلحة جديدة، وخاصة صواريخ مضادة للطائرات، الى حزب الله حتى تظل الاجواء اللبنانية مرتعاً لها ‘تتبختر’ فيها طائراتها الحربية دون اي ازعاج. اولا: مفاوضات الغرب مع ايران حول برنامجها النووي ووقف تخصيبها اليورانيوم وصلت الى طريق مسدود، ورفض المرشد الاعلى السيد علي خامنئي للمقترح الغربي المقدم اثناء محادثات فيينا بنقل اليورانيوم الايراني منخفض التخصيب الى روسيا وفرنسا يعــــني ان ايران ماضية قدماً في مشاريعها النووية، وان لا خيار امام الغرب، والولايات المتحدة، غير القبول بهذه المشاريع والتعايش معها، او مواجهتها بحصار اقتصادي خانق، او هجمات عسكرية، او الاثنين معاً. ثانيا: منذ اشهر و’الخبراء’ الاسرائيليون يتحدثون عن نقل سورية مخزونها من الاسلحة الى حزب الله في لبنان، ونجاح حركة ‘حماس’ في قطاع غزة بتطوير قذائف صاروخية يصل مداها الى مدينة تل ابيب، الامر الذي يجعل من اجتياح القطاع مسألة حتمية، بسبب التهديد الخطير الذي يشكله امتلاك ‘حماس’ لمثل هذه القذائف الصاروخية. ثالثا: حدوث انقلاب في الموقف الامريكي تجاه العرب والمسيرة السلمية، عبرت عنه السيدة هيلاري كلينتون وزيرة الخارجية اثناء جولتها الاخيرة في المنطقة، بتأييدها غير المتحفظ لخطط نتنياهو الاستيطانية، وتخليها عن شرط تجميد البناء في المستوطنات لاستئناف المفاوضات والعملية السلمية بالتالي. فهذا الانقلاب يعني ان ادارة اوباما بدأت تعطي اولوية للبرنامج النووي الايراني، وتتبنى وجهات النظر الاسرائيلية المطالبة بازالته بالقوة العسكرية. العرب، ونحن نتحدث هنا عن الانظمة، منقسمون حالياً الى ثلاثة معسكرات رئيسية: الاول يؤيد بالكامل الموقف الامريكي، والاسرائيلي بالتالي، بتدمير اي طموحات نووية ايرانية، ويفضل هذا المعسكر الوسائل العسكرية. والثاني يتحالف مع ايران (سورية) ويقف في خندقها علناً، وينسق معها سياسياً وعسكرياً. والمعسكر الثالث يضم مجموعة من الدول التي لا تريد اي دور عربي في مواجهة اسرائيل او غيرها، بعضها بحجة الإتجاه افريقياً، والبعض الآخر بحجج التركيز على التنمية، والبعض الثالث بحجة عدم اغضاب امريكا، وهكذا. غياب الفعل العربي، واتباع السلام كاستراتيجية وحيدة، واسقاط جميع الخيارات الاخرى، ولو نظرياً، هو الذي أدى الى تشجيع هذه العربدة الاسرائيلية وتغوّلها، مثلما نرى حالياً. السيد عمرو موسى امين عام جامعة الدول العربية قال لنا اثناء انعقاد مؤتمر القمة الاقتصادية في الكويت، ان مبادرة السلام العربية لن تظل مطروحة الى الابد، وانه سيتولى ‘شخصيا’ البحث عن بدائل اخرى لمواجهة الرفض الاسرائيلي المهين لها. لا نعرف ما اذا كان السيد موسى يبحث عن هذه البدائل، ام انه نسيها، مثلما نسي والزعماء العرب الآخرون، شيئاً اسمه الكرامة العربية المهدورة امام هذه الاستفزازات الاسرائيلية المتكررة. لا نتوقع رداً رسمياً عربياً على اعتراض اسرائيل لسفينة الاسلحة المزعومة هذه، فقد اعتدت اسرائيل على لبنان وقطاع غزة ولم يتحرك احد، وخطفت سفينة تقل نشطاء دوليين من المياه الاقليمية المصرية كانت في طريقها لكسر الحصار على غزة، وجاء الرد المصري على هذه الاهانة بتدمير المزيد من الانفاق، وتشديد الحصار اكثر على قطاع غزة، فانتهاك السفن الحربية الاسرائيلية للمياه الاقليمية المصرية امر عادي، لكن محاولة افريقي جائع التسلل الى اسرائيل عبر الحدود مع سيناء فأمر خطير، عقابه القتل رمياً بالرصاص. السؤال الذي يتبادر الى ذهني وربما ذهن الملايين من العرب الآخرين هو متى ستستطيع الحكومات العربية التصدي لمثل هذه الاختراقات الفاضحة لسيادتها واجوائها؟ وهل سيأتي اليوم الذي نرى فيه فرق كوماندوز عربية تتصدى الى سفن تحمل اسلحة الى اسرائيل في عرض البحر وتقودها الى الموانئ العربية لتفتيشها لانها تنقل هذه الاسلحة لدولة معتدية تحتل اراضي عربية، وترتكب جرائم حرب في حق عرب ومسلمين ابرياء. Hezbollah and its Iranian and Syrian backers have flatly rejected Israeli claims that a shipment of arms and ammunition intercepted at sea was destined for the Lebanese militia group. As Israel moved quickly to exploit the propaganda value of the find to highlight the role of Iran, Hezbollah “categorically” denied any connection to the case. The Israeli government spokesman, Mark Regev, said he hoped the weapons seizure would be a “wake-up call to those few in the international community who up until now have still held illusions about the true character of the extremist, radical regime in Tehran”. Arab commentators and Iran suggested Israel’s announcement of the weapons find was an attempt to undermine or divert attention from the Goldstone report, which accuses Israel of war crimes in its attack on Gaza this year. Israel is working to highlight the danger of Iran acquiring nuclear weapons that could challenge its own nuclear monopoly. Israel on Wednesday announced that its naval commandos had boarded the Francop, a cargo vessel carrying dozens of containers holding several hundred tonnes of weapons concealed in crates marked “parts for bulldozers”. It has not provided any documentary evidence that the arms were meant for Hezbollah. Speaking in Tehran, Syria’s foreign minister, Walid al-Muallim, and his Iranian counterpart, Manouchehr Mottaki, dismissed the Israeli version of the story. The German-owned, Antiguan-flagged ship was intercepted off Cyprus and escorted to the Israeli port of Ashdod where its cargo of shells, rockets, grenades and small-arms ammunition was unloaded and displayed to the media. Binyamin Netanyahu, Israel’s prime minister, said: “Those who needed further proof that Iran is continuing to supply weapons to terror organisations got it today in a clear and unequivocal manner.” Foreign ambassadors stationed in Israel have been invited to inspect the weapons. Muallim confirmed the Israeli navy had seized a ship with Syrian cargo but denied it was carrying arms. It was not clear how this squared with pictures of the cargo broadcast around the world. Iran and Syria both support Hezbollah’s resistance to Israel but deny giving it military assistance, which would be in breach of UN resolutions. The Lebanese group is reported to have rearmed since its war with Israel in 2006. Reports from Israel said the shipment left the Iranian port of Bandar Abbas 10 days ago and was transferred to the Francop in the Egyptian port of Damietta. It was scheduled to dock in Cyprus before heading to the Syrian port of Latakia. Israeli officials said they believed the weapons would have then been transferred to Hezbollah by land. The seizure, apparently based on prior intelligence, was said to be the largest in Israel’s history, 10 times more than was found on the Palestinian arms ship Karine A in 2002. Thanks OTW, I totally agree with you. I am confident that in Syria they learned a lot about what security measures they need to implement, but I am also confident that there are a few holes that they still are not aware of. It is virtually impossible to reach 100% security, especially for a country with limited resources like Syria. As for officials traveling to London carrying “all the details of Syria’s Illicit nuclear program” on their laptops … I can only laugh at the idea. I think whoever wrote that story for Der Spiegel has no clue how Syria, or any other country, handles information related to any “secret” military application. Let them list all the senior Syrian officials who traveled to London at the time (one or two?) and let’s think about it … why would that civilian official NEED to have all the details about that alleged Syrian SECRET nuclear program on his/her laptop? … to edit a power point presentation he was doing at the hotel’s conference room explaining Syria’s SECRET nuclear ambitions? And since when do we have documents that are emailed or distributed that include ALL THE DETAILS of our secret military programs? If Syria indeed had a nuclear weapons program (I still doubt it) and managed to keep it secret for all those years despite all the wonderful spies at most foreign embassies in Damascus and despite probable Israeli monitoring of Syrian online and telephone communications, then I assume the Syrians knew how to keep things secret … including not sending an official with all the details of the nuclear program on his laptop. In a way this is good news. It confirms that the bees are busy and they will find another way to make sure that the cargo is not intercepted. If it is true that the shipment was bound for Latakia, then Syria should raise hell about the legality of intercepting the ship and inspecting shipments bound for Syria. Syria has every right to get arms and ammunition from whoever is willing to provide them to Syria. Syria should get a legal opinion from the International Maritime Body concerning the violation and interference by Israel and the provocation this precedent will set. If the international community can not garanty the freedom and safety of international cargo bound for Syria, then Syria has every right to secure the shipping lanes in the eastern Mediteranean. Like the response to the Somali piracy actions by the international community, Syria should organize naval patrols to protect the ships from being harrassed by Israel and invite other countries to participate. What is next? Israeli F16 intercepting civilian air trafic over Cyprus that is not in Israeli airspace? Is the international community so gullible and impotent when it comes to Israel’s illegal actions? When is the world going to have enough of Israeli intransigence? Yazan beik, I’m glad you enjoyed the post. For those who did not notice, Jacob Tafnis is our dear friend (despite being a Lebanese) Qifa Nabki, the author of the wildly popular Qnion series. Does it count that I am 1/4 Damascene? what counts the most is that you are an Arab . What is a “Right” is always an interesting topic. What a country, government, organization or individual can do, legally, is fascinating. Actually, no one has the right to supply arms to Hezbollah. Moreover, Hezbollah has been directed to disarm. Get the UN to enforce their own resolutions would be my guess, and/or punishing those governments that break international law. Israel is suffering the humiliation of being described accurately as a war criminal in the Goldstone report… so we are back to Israeli stunts that divert attention to its “evil” Arab enemies and that reestablish pride inside Israel int he capabilities of their incredible Mossad that hacked the Syrian diplomat’s laptop, and in their army that intercepted that ship carrying weapons that were going to “the terrorists”. What’s next .. an assassination of some “anti Syria” Lebanese politician or journalist? A Lovely circus is always playing at our favorite media outlets. Meanwhile, remember that those who talk don’t know, and those who know don’t talk. And, Alex, as if the story about a Syrian official with a laptop full of secrets wasn’t laughable enough, the geniuses at Der Speigel introduced yet another hysterically funny element: The Mosad agents logging into the Syrian laptop and installing a trojan horse! It is clear that Erich Follath and Holger Stark have their imagination hijacked by Hollywood movies and now is comparable to that of Bush Bimbaugh! These ape-descendant authors are probably the same who gave us the story about how a devout HA operative used a cell phone tied to the Hariri murder to call his girl friend and check on her. Yeah right, and that girlfriend sure looked like Angelina Jolie! Technically speaking, I think the Der Speigel authors were massively confused between computer Trojans and Trojan condoms. I didn’t suggest that Syria state publicly that the ship was carrying weapons from Iran to Syria. I suggested that Syria’s PR should consider the cost-vs-benefit of denying it. Same goes for the alleged nuclear program. I don’t know if Israel is planning to “hit” Iran and Hezbollah, but if I had to guess, I’d say the chances Netanyahu would be the one to start a new Middle East war are slim. Far more wars and operations began under Left-lead governments, than under the Likud. The only war started by the Right was the 1982 war in Lebanon, but even then Begin didn’t intend for it to turn into a war – Sharon forced it upon him. What you find fascinating I find repulsive and abuse of power in subverting laws and denying rights. The USA Constitution, Bill of Rights and Declaration of Independance provide for the right for the people to bear arms and for the people to form a well regulated militia and that those rights are unalienable and given to the people by their Creator. When the British King’s army was hanging and executing the American patriotic colonial militia members, they used King George’s legal arguments. Eventualy USA law and resistance trumped King George’s law and his army’s abuse of power and denying of natural rights. When King George W.’s influence on the security council, resulted in passing resolution 1701 for the ceassation of hostilities, forced under duress and after 33 days of barbaric destruction of Lebanon, he betrayed the fundamental rights given to the people by their Creator, so eloquently expressed in the documents that we base our laws on. Diplomatic sources said Russia would begin deliveries of the Yakhont missile as part of expanded naval cooperation with Syria. They said Syria has agreed to allow the Russian Navy use of the port of Tartous as well as the expansion of logistic services to Moscow’s military. The sources said the Yakhont would be deployed on Syria’s small navy as part of expanded cooperation with the Kremlin. “The deal is that Russia will supply and train the Syrians to use this new missile,” a diplomat said. The Kremlin was also said to have been working on a plant to expand the Tartous port to enable the docking of large Russian Navy ships. The sources said Tartous would become a regional maintenance center for the Russian Navy. Yakhont, with a 200-kilogram conventional warhead, was described as a sea-to-sea missile with land-attack capabilities. The ramjet-powered missile was said to have a range of 300 kilometers and could threaten Israeli shipping throughout the eastern Mediterranean. Yakhont could also be fired from aircraft. The sources said Israel has discussed the Yakhont deal with the Kremlin. They said Israel expressed concerns that Syria would transfer Yakhont to the Iranian-based Hizbullah in neighboring Lebanon. Copyright © 2009 East West Services, Inc. All rights reserved. AP, please be careful of what you wish for, as there are probably way too many UN resolutions that will make you and your cohorts very unhappy; should they be ‘enforced” as you uttered! and until president Bush came to power , all American wars were started by the Democrats , go figure , there is always a first . Actually, no one has the right to supply arms to Hezbollah. 1) If Israeli pirates decided to hijack a ship that was originally headed to Syria then it is Israel that is violating international law. If you want to prove that Syria is violating UN resolutions then you still need to prove that Syria is sending weapons to HA … your satellites have been monitoring the Syrian Lebanese border for years and we still are waiting for you to give the UN convincing proof that Syria is violating UN resolutions in that way. 2) Are you really sure you want the UN to enforce its own resolutions by punishing governments that are in violation of those resolutions? – Resolution 1559 wanted all foreign armies to leave Lebanon (without naming Syria) … Syria still obliged and recalled its army within few month. – Resolution 1701 .. also does not name Syria in any way, but you might argue that Syria is indirectly affected by one of the clauses in that resolution, the one asking for the disarmament of Hizbollah. Until you prove that Syria is sending weapons to HA (which is a possibility of course) then Syria is not yet in any clear violation of ANY UN resolution. Palestinian Refugees have the right to return to their homes in Israel. Israel’s occupation of Palestine is Illegal. Israel’s settlements in Palestine are Illegal. Palestinian have the right to Self-Determination. UN General Assembly Resolution 181 – the 1947 Partition plan of Palestine and the creation of Israel. International Humanitarian Law: the Geneva Conventions – 150 years of international designated protection of civilians during wartime and Israel’s explicit violations. Resolution 106: condemns Israel for Gaza raid. Resolution 111: condemns Israel for raid on Syria that killed fifty-six people. Resolution 127: recommends Israel suspend its no-man’s zone’ in Jerusalem. Resolution 162: urges Israel to comply with UN decisions. Resolution 171: determines flagrant violations by Israel in its attack on Syria. Resolution 228: censures Israel for its attack on Samu in the West Bank, then under Jordanian control. Resolution 237: urges Israel to allow return of new 1967 Palestinian refugees. Resolution 248: condemns Israel for its massive attack on Karameh in Jordan. Resolution 250: calls on Israel to refrain from holding military parade in Jerusalem. Resolution 251: deeply deplores Israeli military parade in Jerusalem in defiance of Resolution 250. Resolution 252: declares invalid Israel’s acts to unify Jerusalem as Jewish capital. Resolution 256: condemns Israeli raids on Jordan as flagrant violation. Resolution 259: deplores Israel’s refusal to accept UN mission to probe occupation. Resolution 262: condemns Israel for attack on Beirut airport. Resolution 265: condemns Israel for air attacks for Salt in Jordan. Resolution 267: censures Israel for administrative acts to change the status of Jerusalem. Resolution 270: condemns Israel for air attacks on villages in southern Lebanon. Resolution 271: condemns Israel’s failure to obey UN resolutions on Jerusalem. Resolution 279: demands withdrawal of Israeli forces from Lebanon. Resolution 280: condemns Israeli’s attacks against Lebanon. Resolution 285: demands immediate Israeli withdrawal from Lebanon. Resolution 298: deplores Israel’s changing of the status of Jerusalem. Resolution 313: demands that Israel stop attacks against Lebanon. Resolution 316: condemns Israel for repeated attacks on Lebanon. Resolution 317: deplores Israel’s refusal to release. Resolution 332: condemns Israel’s repeated attacks against Lebanon. Resolution 337: condemns Israel for violating Lebanon’s sovereignty. Resolution 347: condemns Israeli attacks on Lebanon. Resolution 425: calls on Israel to withdraw its forces from Lebanon. Resolution 427: calls on Israel to complete its withdrawal from Lebanon. Resolution 444: deplores Israel’s lack of cooperation with UN peacekeeping forces. Resolution 450: calls on Israel to stop attacking Lebanon. Resolution 452: calls on Israel to cease building settlements in occupied territories. Resolution 465: deplores Israel’s settlements and asks all member states not to assist its settlements program. Resolution 467: strongly deplores Israel’s military intervention in Lebanon. Resolution 468: calls on Israel to rescind illegal expulsions of two Palestinian mayors and a judge and to facilitate their return. Resolution 469: strongly deplores Israel’s failure to observe the council’s order not to deport Palestinians. Resolution 471: expresses deep concern at Israel’s failure to abide by the Fourth Geneva Convention. Resolution 476: reiterates that Israel’s claim to Jerusalem are null and void. Resolution 478: censures (Israel) in the strongest terms for its claim to Jerusalem in its Basic Law. Resolution 484: declares it imperative that Israel re-admit two deported Palestinian mayors. Resolution 487: strongly condemns Israel for its attack on Iraq’s nuclear facility. is null and void and demands that Israel rescinds its decision forthwith. Resolution 498: calls on Israel to withdraw from Lebanon. Resolution 501: calls on Israel to stop attacks against Lebanon and withdraw its troops. Resolution 509: demands that Israel withdraw its forces forthwith and unconditionally from Lebanon. Resolution 515: demands that Israel lift its siege of Beirut and allow food supplies to be brought in. Resolution 517: censures Israel for failing to obey UN resolutions and demands that Israel withdraw its forces from Lebanon. Resolution 518: demands that Israel cooperate fully with UN forces in Lebanon. Resolution 520: condemns Israel’s attack into West Beirut. Resolution 573: condemns Israel vigorously for bombing Tunisia in attack on PLO headquarters. Resolution 587: takes note of previous calls on Israel to withdraw its forces from Lebanon and urges all parties to withdraw. Resolution 592: strongly deplores the killing of Palestinian students at Bir Zeit University by Israeli troops. Resolution 605: strongly deplores Israel’s policies and practices denying the human rights of Palestinians. Resolution 607: calls on Israel not to deport Palestinians and strongly requests it to abide by the Fourth Geneva Convention. Resolution 608: deeply regrets that Israel has defied the United Nations and deported Palestinian civilians. Resolution 636: deeply regrets Israeli deportation of Palestinian civilians. Resolution 641: deplores Israel’s continuing deportation of Palestinians. Resolution 672: condemns Israel for violence against Palestinians at the Haram Al-Sharif/Temple Mount. Resolution 673: deplores Israel’s refusal to cooperate with the United Nations. Resolution 681: deplores Israel’s resumption of the deportation of Palestinians. Resolution 694: deplores Israel’s deportation of Palestinians and calls on it to ensure their safe and immediate return. Resolution 726: strongly condemns Israel’s deportation of Palestinians. Resolution 799: strongly condemns Israel’s deportation of 413 Palestinians and calls for their immediate return. The abuse is spending all this money on arms that will not destroy Israel or gain a square kilometer more of land, instead of spending it on the welfare of the people. The right of self defense is allocated to all countries including Israel. The US constitution is an american document and its interpretation depends on the US supreme court. We still have differences on what a “well regulated militia” really is. However, the “right” to arm militias like Hezbollah is no right at all, in fact, it is illegal under UNSC 1701. Norman, I hope Bibi is opting to be a 2nd-Begin, rather than a 2nd-Golda. What else can I do? .. we have here Akbar Palace absolutely convinced that Israel never violated International law and that Syria is an outlaw state. AIG, through a long list of questions similar to those a police officer would ask a suspected criminal, is alerting or warning Qifa Nabki not to fall in the hands of the bad and sneaky Syrian PR agents and to more or less stay within the limitations set by Israel’s watchdogs… as if Qifa Nabki will remain a good guy as long as he listens to the other good guy, AIG, who is on the side of the good country, Israel. Shai how can we have peace with Israelis who are blind to that long endless list of UN resolutions against Israel, but are perfectly aware of the implications of one of the clauses of UNSC resolution 1701 which indirectly might relate to Syria? But this is what we have. I also wish Israel never occupied the Palestinian territories, but it did and it does. I hope future generations will be confident enough to look back, acknowledge, and even apologize for many of our crimes. I am not aware of any differences we still have on what a “well regulated militia” really is. I thought Israel’s complaint has been that Hizballah was too well regulated as a militia. I agree that the London story is illogical. As for the ship, i have nothing to add to what Mr. Atwan wrote. No, Israel doesn’t ask too many questions with regard to foreign enemies. It is the UN that considers the Hizballah an “unregulated militia” per UNSC 1701. The Israeli keep winning , so they think that there is no end in sight and instead of taking their winnings and Dael while they have a good profit and reputation , they keep thinking that their winning will continue forever only to find out that their lock has run out and they are worse than where they started from . I always think that this is the time for Israel to make peace with it’s neighbours a peace from strength as with time Israel might find itself forced by the international community to accept peace not on it’s strong term but built on international law . Ahh yes, I forgot that small detail. May I ask about the source of the photo you are using? It’s driving me crazy, I saw it somewhere before and there was a whole analyzing article for it but I can’t remember the site. In case you or Jacob the Phoenician took it from somewhere it is just fair to mention the source. Let’s say that the West bank and Gaza become a free state. If it’s in peace with Israel, then its population could marry with Israeli Arabs and very quickly tilt the demographic balance such that the Arab minority will approach 30% or 40% in a matter of decade or two. They have all the reasons in the world to want to do that: practically and ideologically. The Israelis will of course see that as an assault on their meager country. If Israel doesn’t live in peace with Palestine… well, then there isn’t eternal peace. I think it would be very constructive to reverse the question: if Israel held on to all the territories it captured in 1967 and ignored all Arab claims, will it enjoy eternal peace? Over the last two days all of the scenarios Shai and I have been talking about here are taking shape: Abbas is stepping down. Saeb Arekat says maybe the one state solution is better now. Perhaps they’ll dismantle the PA soon? If you fool yourself that these voices will be dismissed forever then you’re wrong. The tide has clearly turned, even in America. Israel doesn’t have an “out”. 1. Peace treaties will make it less Jewish, to the point of losing the majority. 2. Holding on to the territories will bring about a South African reprise. Again it will cease to be predominantly Jewish. 3. Israel could “disengage” from the West bank (maybe… not clear if it’s possible to disarm the settlers), but will not gain international recognition for the end of the occupation unless it withdraw to the 67 line and even then the party on the other side (Hamas probably) will not have signed a peace treaty and will be free to continue to fight against Israel, to liberate the rest of the land etc. This will be a continuation of the current situation but it will continue to deteriorate to a point of collapse—there will be very little reason to want to live there. Clearly, the peaceful ways lead to an Israel that will be much more “Arab” then it is today. This is the real question that Israelis need to be asking themselves: are we ready for this inevitability and if not, what are we willing to do to avoid it? Leave? Conduct genocide? Manufacture continuous conflict? Israelis realize that they don’t have too many options in the long run and that’s why it’s so popular in Israel to talk about an impending Armageddon between the “West” and “Islam”—there’s the hope that an all-out cataclysmic war will generate new options, options that today nobody would dare otherwise countenance…. (that is, in English). Sorry to respond only now. I think you’re giving Israelis too much credit. We don’t think about it in such depth. Rather than a conscious investor in stocks, we’re simply people intoxicated with power. This is 1967-1973 all over again. I’m sorry to shine the light back at your side – Syria – but I really do hope it’ll be able to change perceptions in my country, soon. I honestly think Syria is making a mistake trying to depict itself as a nation NOT participating in the ongoing region-wide conflict, spanning from Israel, Palestine, Lebanon, to Iraq. Why deny weaponry is passing through Syria, en route to Hezbollah? Why deny the possibility of a nuclear program, or nuclear aspirations? Why deny involvement in Iraq, even with rogue parties that oppose America’s presence there? The more Syria denies these things, the weaker it seems, certainly in the eyes of Israelis and quite likely in those of America’s. Why can’t Syria come out and say “We are a key and central party to this region and its conflicts. Embrace and accept our hand in Peace, and much will be resolved. Choose not to accept it, and our strategic goals may continue to differ from yours…” Both hints are obvious. But this needs to be said in public, directly at its various audiences. Not behind closed doors, only amongst diplomats. I don’t think most of our countrymen are even thinking that far ahead. As usual, most of us will “discover” reality much too late to do anything about it. There’s no need for Erekat to warn of a one-state inevitability. It is happening already with each day that passes. If I was a Palestinian, I’d have “given up” long ago on my Palestinian dream, and asked Israel for my blue Israeli ID-card already. And the right-to-vote that usually comes with it. No Intifada would be as powerful as that little request. Israelis would be begging the Palestinians to let us withdraw to the 1967 borders. Remember this: If WE don’t get off our rear-ends and our endless excuses, WE will be begging THEM for a two-state solution. And I’m not sure they’ll agree. You’re afraid of a Jewish minority in Israel? You should be pushing me out of the way, to join Peace Now faster than you can spell it. You should be sending little Palestinian kids candy, asking them to tell their parents to give the Jews a break, and to form their own state on the 1967 borders. Because if not, there are better chances than none that your daughter and mine will – God-forbid – marry a Muslim! I see a significant change in the atmosphere in the Mideast if Israel gives a clear commitment for the return of the Golan and a just settlement for the Palestinians , and Syria announcing and making it clear that the Hebrews are essential part of the Mideast and are not foreign to the area and they have the right to return as other semitic people.